The most fascinating Serie A season in years is just over two months old and has a clash between top-three sides on Sunday afternoon. Roma, in third place, are no strangers to these high-profile fixtures. Say what you will about the Giallorossi’s Champions League woes, but Rudi Garcia has a good squad that thrives when not stretched to the limit as it is in Europe. Roma will visit the Stadio Artemio Franchi on Sunday to face the surprising table-toppers, whose vibrant brand of football may not be doing wonders in Europe but has certainly rejuvenated their domestic prospects. Fiorentina reached the summit after a 4-1 win away at Inter last month, and despite losses to Napoli and Lech Poznan in the past week, are still top thanks to that demolition at the Giuseppe Meazza. If Sousa’s Fiorentina keep this up, however, he’ll be at the Artemio Franchi for a while. The Viola made some shrewd signings to replace the dearly departed and all have played roles of varied importance at the club this year. The reliable Davide Astori arrived on loan from Cagliari. Winger Jakub Blaszczykowski also arrived on loan after eight years at Dortmund; he scored the eventual winner against Bologna last month. Former Steaua keeper Ciprian Tătărușanu has stepped up to take over for Neto. 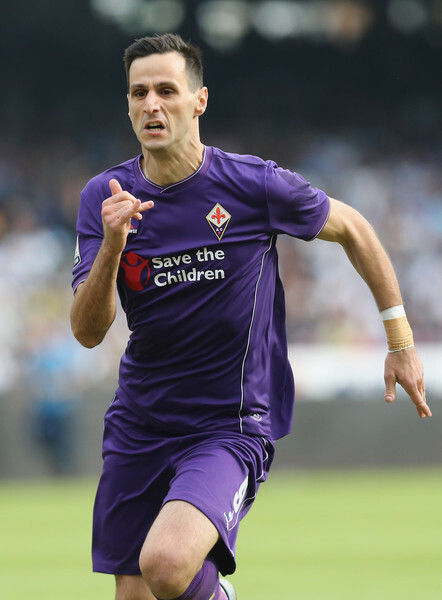 But most importantly, Fiorentina acquired the services of ex-Blackburn and Dnipro striker Nikola Kalinić. The 27-year-old Croatian has provided the goalscoring touch the Viola desperately needed, because relying on Khouma Babacar and (sigh) Giuseppe Rossi is for teams that want to finish seventh. The 3-4-2-1 is the vehicle through which Sousa is developing a new and devastating brand of football at Fiorentina: heavy possession (second in Serie A in average possession at 62.6%) with quick, incisive midfield passing (Milan Badelj and Borja Valero appear back to their best) and ruthless Kalinić finishes. It’s worked to the tune of six wins in eight and a +9 goal difference. Only Roma and Napoli have scored more than Fiorentina’s 15. Kalinić and Slovenian international Josip Iličić bear responsibility for more than half these goals. Iličić is a key piece playing as a CAM/pseudo-second striker, but Kalinić’s remarkable efficiency is the bigger talking point. Kalinić has recorded 17 shots over his eight Serie A appearances, which of course is a low total for a center forward. However, his shot accuracy stands at 65%, and of his 11 shots on target, five have gone in. Kalinić is producing at a rate unlike any he’s produced at before and is already very important to the Viola. Whether he continues at this rate remains to be seen, though. Obviously, the concern here centers on who assumes the scoring load once the former Dnipro sniper cools off (which is somewhat inevitable), but in the meantime, Sousa’s formula is working wonders for him and his team so far. A victory against Roma on Sunday would be yet another statement in this topsy-turvy Serie A season and continue to push Fiorentina’s Scudetto credentials – unlikely as those may seem. This entry was posted in Serie A and tagged Atlético Madrid, Chelsea, Fiorentina, juventus, Napoli, roma, Serie A. Bookmark the permalink.